One of my absolute favorite fall drinks is hot apple cider. If we’re headed to the apple orchard I’m definitely getting a steaming cuppa cider. It is the perfect fall drink (yes, even more perfect than anything pumpkin spice). 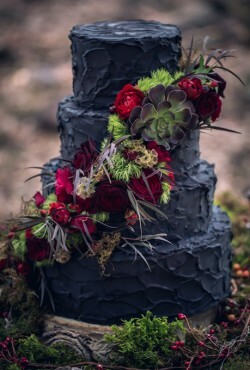 We’re still celebrating the start of fall over here, so it seems like a good day to showcase another stunning fall-inspired wedding cake. It’s officially the second day of fall! Anyone feeling rather fall-ish today? This just means that we can now talk about all things fall weddings including fun wedding favors! 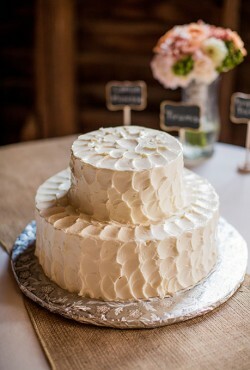 My wedding anniversary falls in October so I’m a huge fan of fall weddings. 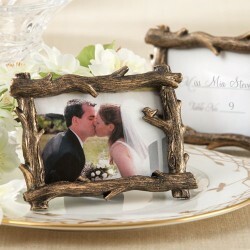 And I love it when you add just a slight fall feel to your big day, like with these branch photo frames. The frames can serve a dual purpose as both a place holder if you’re planning on assigned seats at your reception, and then guests can take the frames with them! 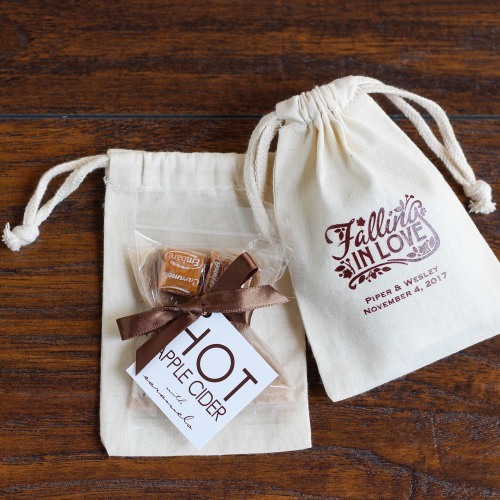 Another fun idea – a photo booth at the reception (it is a party, after all) and then you send a photo home with guests in their fun frame. 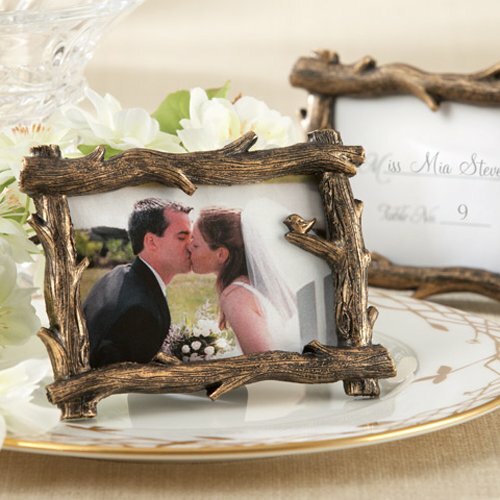 Either way, the frames are an inexpensive way to add a touch of fall to your reception. 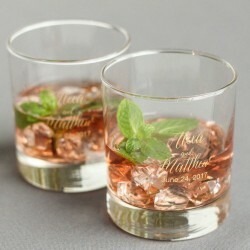 You’ll find these branch frames here. 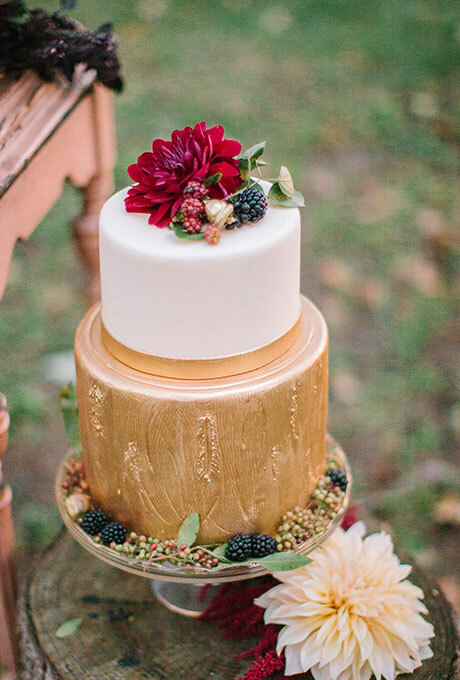 There must be something in the air this week … this is the second gold-toned wedding cake we’ve featured in the past few days! 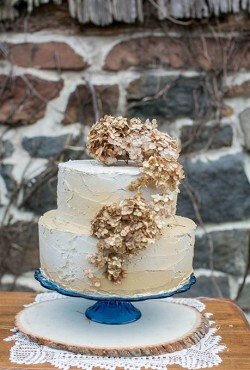 I’m beginning to think that I have gold on my mind. Which isn’t a bad thing. Lately I’m starting to look for more rustic wedding cakes – I still love the over-the-top elegant cakes, but there’s something to be said for a simple yet gorgeous rustic cake. Despite the never-ending summer-like temperatures outside, we are getting closer and closer to the first official day of fall! Which means it is time to start thinking about fall-inspired wedding cakes. I adore polka dots. 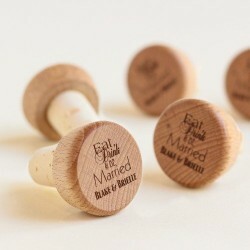 They’re fun and whimsical while still being classic and somewhat elegant. 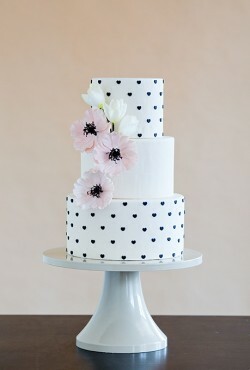 And if those polka dots look like tiny hearts? Well, that’s even better. Today’s wedding cake is a study in fun – a stark white, three-tier cake adorned with black fondant hearts instead of black polka dots! A black wedding cake might not seem like the most traditional wedding cake – but that’s why I love the concept! 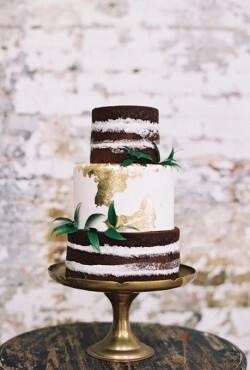 Imagine the surprise when your guests spot this dramatic and gorgeous black wedding cake at your reception!